at dinosaur bridge, amsterdam, the netherlands. 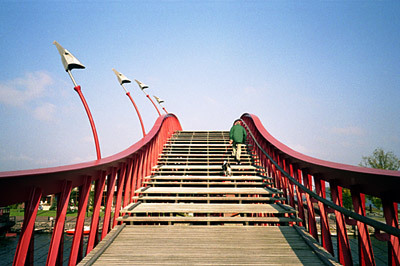 Strange…..this bridge is so familiar, because my work is located in this area…. In general I thnk the Asian people are more aware of the unique architecture around here then the people in Amsterdam.